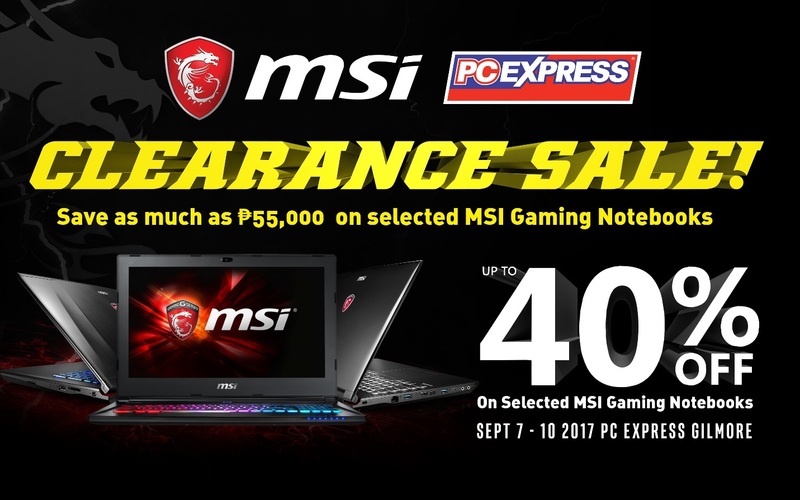 Big Savings with MSI Clearance Sale exclusive at PC Express Gilmore Branch located at UNIT 2A 2ND FLOOR, 25 Gilmore Ave, New Manila, Quezon City, Metro Manila. Save as much as P55,000 on selected MSI Gaming Notebooks from September 7-10, 2017. Join in the fun! Gaming activities such as Racing Sim Driving Simulation, VR featuring Long Bow are available. 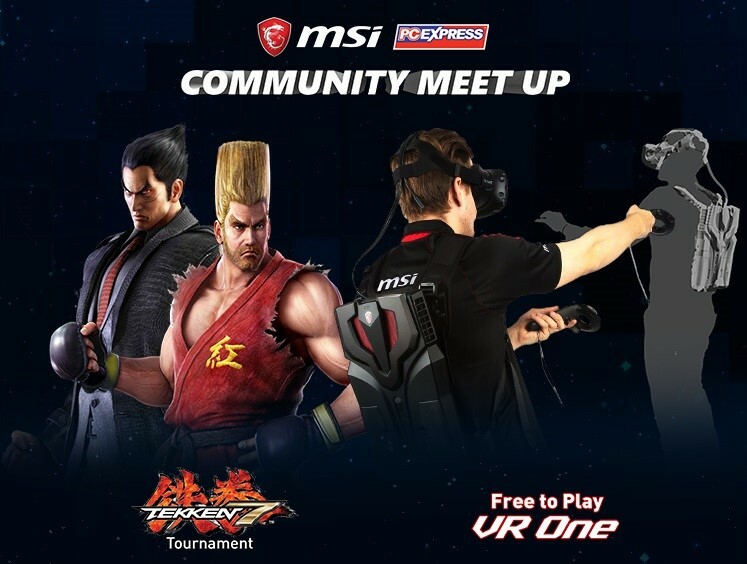 TOP 4 players will be awarded with an MSI BTS Bundle plus MSI Jacket and Cap! They will come back on September 10, Sunday at 1PM to compete for the final round. Champion will be awarded with a steel Series Headset if player beat SuzzSaur.